GeoMagnetic.TV | RELEASES | TWISTED REACTION - ACTION! 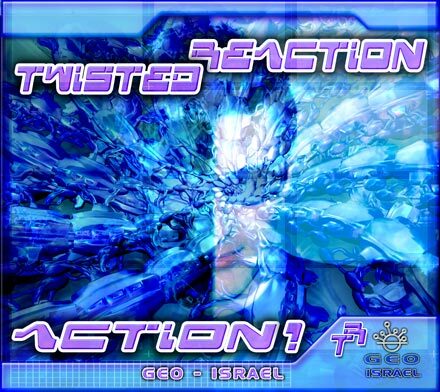 Artist Album "Twisted ReAction - ACTION!" "Action!" - a debut album from Twisted ReAction, opens for you the tunnel to a twisted and playful psychedelic world of the young Israeli artist Edvin. The album contains 9 full-on tracks, both morning and night styles. The last track of the album is Chillout/Electro that is dedicated to Edvin's girlfriend.The track was made featuring a Israeli underground punk rock band - Hero For A Day. All of this amazing album is a magical trip to another world where there is only love and happiness.....and we know that with it will bring a wave of pleasure through out the whole international trance scene!